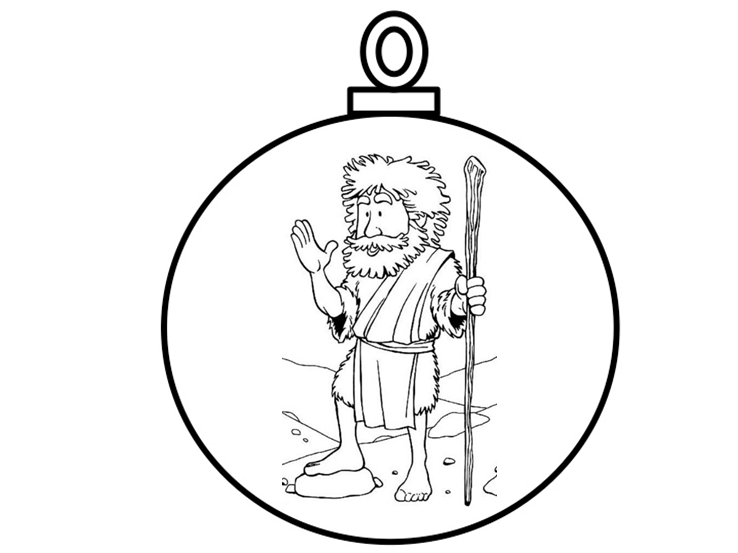 We’ve already seen in our Jesse Tree reflections the importance of ‘repentance’ (Lk.3:3). It is a critical concept to grasp, and to put into practise. Put it this way: what is the difference between a people prepared and a people not prepared for the Lord’s coming? Listening to John, you can sum it up in that one word: repentance. Or perhaps better, it is a people who ‘produce fruit in keeping with repentance’ (Lk.3:8). We are deeply integrated beings, and cannot separate out our spiritual life such that it doesn’t affect our volitional, or mental, or emotional, or physical life. Spiritual repentance will always go beyond simple remorse or regret, to affect every aspect of who we are. And so when people asked him what they must do, John’s reply is emphatically not ‘religious’ (Lk.3:8). In fact, his worked examples have a consistently financial flavour to them (Lk.3:10-14). With our fear of being seen as judgemental, and our careless use of phrases like ‘God accepts us as we are’, we might struggle with the idea that people would need to change, to be made ready for the coming of Jesus. But this is the bedrock of John’s God-appointed ministry (Lk.3:4-6). And he is hardly unprecedented. This was the perennial plea of the prophets, and none more so than Elijah, in whose ministry John is styled, which was singularly one of calling the people back to their God, and to faithfulness of life and worship (I Kings 18:37). Interestingly, John’s call to grow in Christlikeness, is not seen as a negative thing at all. John ‘proclaimed the good news’ (Lk.3:18). Indeed, the Bible consistently sees this as part of authentic Christian experience. Jesus’ own preaching resonates deeply with John’s (Matt.4:17 / Lk.13:3 etc. ), and He clearly saw repentance as the appropriate response to His ministry (Matt.11:21). The same is true of the preaching of the apostles (Acts 2:38); and their wider pastoral teaching (II Cor.7:8-11; II Peter 3:9, and although he does use the word, Eph.4:20-24). The call to repentance always produces a dreadful parting of the ways. Those who mourn over their sin rejoice at such a gracious invitation to be transformed. Those on the other hand who pride themselves on their own goodness, or who have vested interest in the status quo, resent deeply the call to change. And it is unwise to underestimate the violence such resentment can lead to (Matt.14:1-12). Yet John (meaning Grace of God) is undaunted. Many of us might have preferred a more prudent way of sharing our faith, laying emphasis on God’s love and playing down any need to ‘repent’. Such a message might keep us popular, but it hardly prepares people to meet Jesus.